There's something immensely satisfying about eating a toasted cheese sandwich while you watch people powering up and down the pool. 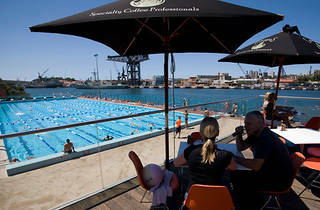 The Andrew 'Boy' Charlton pool is incredibly picturesque with views of the harbour bridge, built straight on the water near the Botanical Gardens. 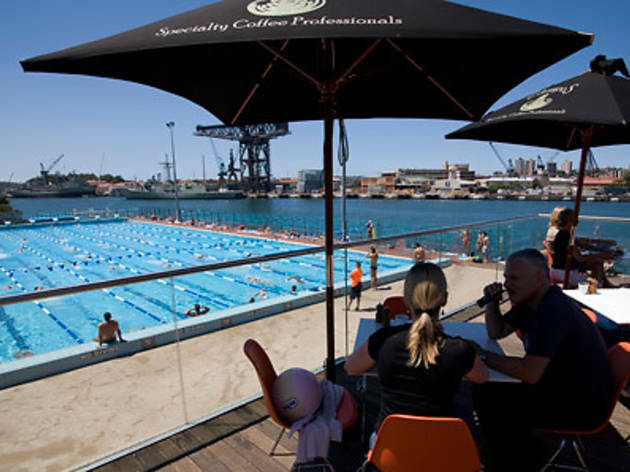 The café is elevated above the pool with big umbrellas to beat the heat and absolutely sensational views. This is a strictly casual affair and best at breakfast for scrambled eggs on sourdough and some pretty damn decent coffee. The café can be hired out for parties and functions – a great way to get all the view without the big figures at high-end restaurants.